A report published today indicates that beleaguered small businesses are facing further woes due to inept accounting. 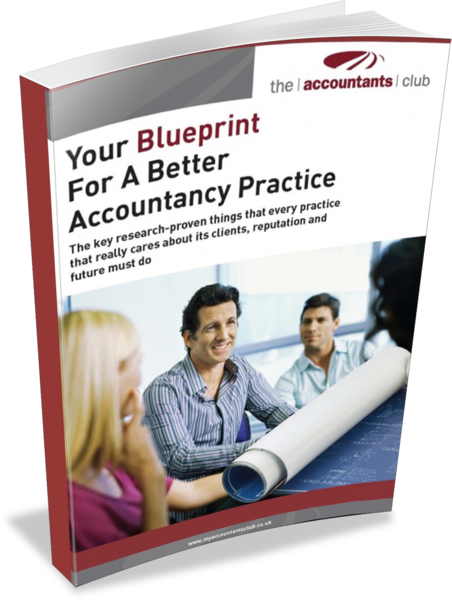 “Your blueprint for a better accountancy practice” published by The Accountants Club, an association of over 700 UK based accountants, found that this ineptitude is losing UK businesses a staggering £1.8billion. The report will make very uncomfortable reading for the profession, its clients and regulators highlighting that accountants are making mistakes on almost half of their clients’ affairs. Alarmingly, many of the errors constituted “major” mistakes – for example, allocation of illegal dividends, lack of inheritance tax planning, not reviewing tax credit eligibility, not considering incorporation, capital allowances not claimed properly and not claiming R&D tax credits. At a time when small businesses are struggling to get funding from banks, poor advice from their accountants in these areas could mean businesses having to close. Another key finding is that Star firms also seem to be much better at spotting the mistakes made by other accountants. Therefore, the research suggests that if all accountants followed in the proven footsteps of the Stars, clients would no longer have to suffer the £1.8 billion of unnecessary losses and costs that appear to be inflicted on over 40% of businesses as a result of the mistakes made by their accountants. An overview of the report’s findings and the full report itself are available from the Accountants Club at www.myaccountantsclub.co.uk/shop.aspx. The estimate of the £1.8 billion cost of mistakes made by accountants is arrived at as follows. According to the latest Department for Business Innovation and Skills data there are c. 4.5 million private sector businesses in the UK, and this research suggests that accountants are making mistakes in handling c 40% of their clients’ affairs. Therefore c 1.8 million clients are probably affected. In many cases these mistakes will cost those clients many thousands of pounds each, so factoring in an average cost of £1,000 is unlikely to be excessive. Therefore a conservative estimate of the total cost to clients would appear to be c £1.8 billion. 30% of the Stars are as successful as they want to be, compared to only 8% of the Laggards. The research is based on a detailed survey of 156 leading UK accounts in practice that was carried out in the summer of 2011 by the Accountants Club. Full details of the research and its findings are given in the report. 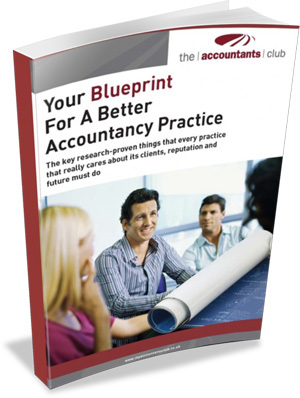 The Accountants Club is an association that helps practicing accountants serve their clients better. Launched in June 2010 it currently it has 781 members. .